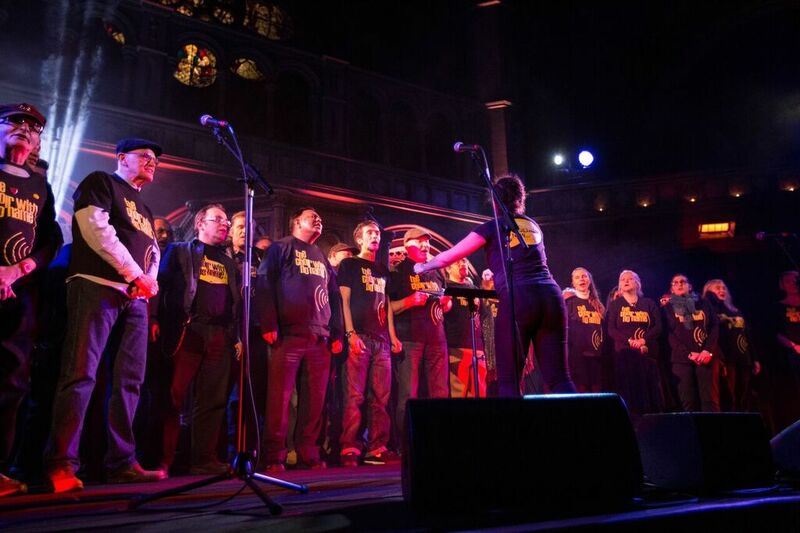 The Choir with No Name, a charity who run choirs for people who’ve been affected by homelessness and others on the margins, are thrilled to announce that their two London choirs will be joining forces for their Big Summer Gig at St James’s Piccadilly, June 29th. With the theme 'Legends', get ready for an evening of pop and rock classics, a healthy dose of audience participation and a performance from the extraordinarily talented musical comedian Jess Robinson (Dead Ringers, Newzoids). Always a huge hit with audiences, The Big Summer Gig is one of the few times a year that both London choirs join forces to delight the crowds with their unique & heart-warming performances of well-known hits. From Bowie to The Beatles, Tina Turner to Queen, it is set to be a spectacular night guaranteed to have you singing and dancing in the aisles! "My advice: if you get the chance to see the choir in action, don’t hesitate!" All profits from the night will go to the charity to help them continue to run choirs for those affected by homelessness, enabling members to make friends, build their confidence & skills and find or re-find their place in the world. Tickets £12 in advance (plus booking fee) or £15 on the door on the night. Our first choir – in King’s Cross, London - was founded in 2008 by Marie Benton, a professional musician and at the time also a senior project worker at homeless accommodation provider St Mungo’s. That first choir became a huge success, and since then we have established three more choirs, one in Birmingham, one in Liverpool and another in London.